The site team at Smith Square in Harworth have been busy hosting work experience students from North Nottinghamshire College over the last few weeks. Two students have been spending time on site getting practical experience and learning the ropes. 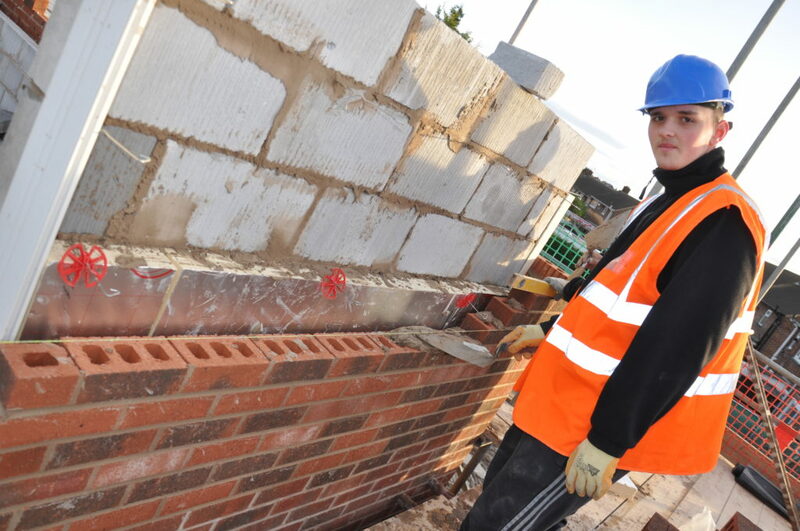 Ross Hawker who is doing Level 2 Bricklaying is visiting the site for the second time, following a successful initial week’s work experience last year and Connor Bett, a second year student has joined the team for the first time.